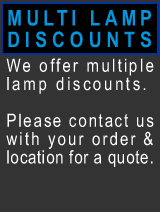 WE STOCK EVERY PROJECTOR LAMP - REPLACEMENT LAMPS FOR ALL MAKES AND MODELS - Next day delivery on most items. Over 6000 lamp models in stock! Servicing the UK & Europe with projector lamps - Next day service, delivered to your door! Every manufacturer, every model or projector.